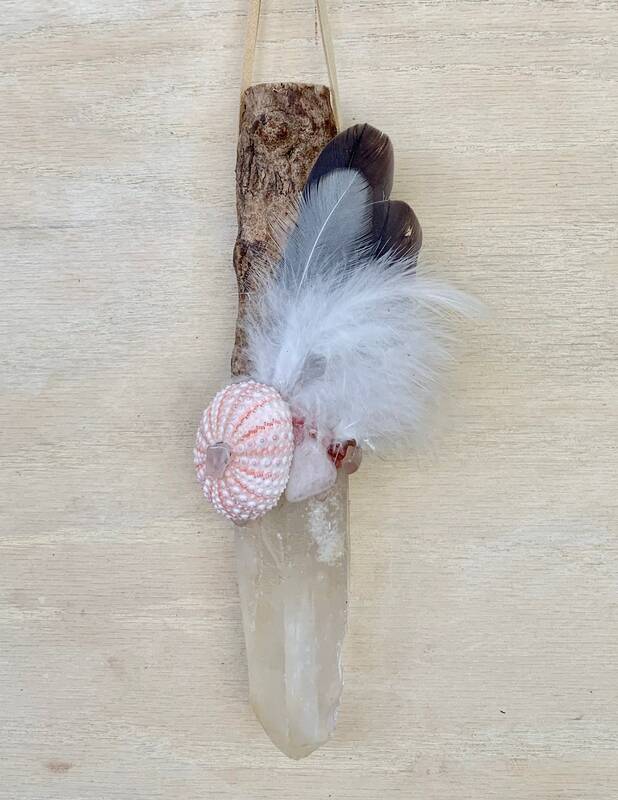 Assists with Healing, Personal Growth & Reaching Higher Consciousness; Assists with Releasing Old Trauma, Destructive Patterns & Heavy Feelings; Clears, Aligns & Activates the Heart Chakra; Strengthens Connection to Mother Earth; Encourages Compassion, Peace, Confidence, Forgiveness, Self-Love, Empathy & Strength. Lemurian Quartz - It was during the last days of Lemuria that these crystals were planted within the Earth with their specialized purpose. They transmit a sense of oneness and unity, of every individual part being equal and no better than any other part, and the necessary for love in order to evolve. Lemurians come into our lives at a major time of human growth and evolution and bring with them the necessary tools for us to shift to higher consciousness with understanding of all that has come before and all that lies ahead of us. Sea Urchin Medicine – teaches discernment, tenacity and patience. Nothing is impossible when Urchin is guiding. 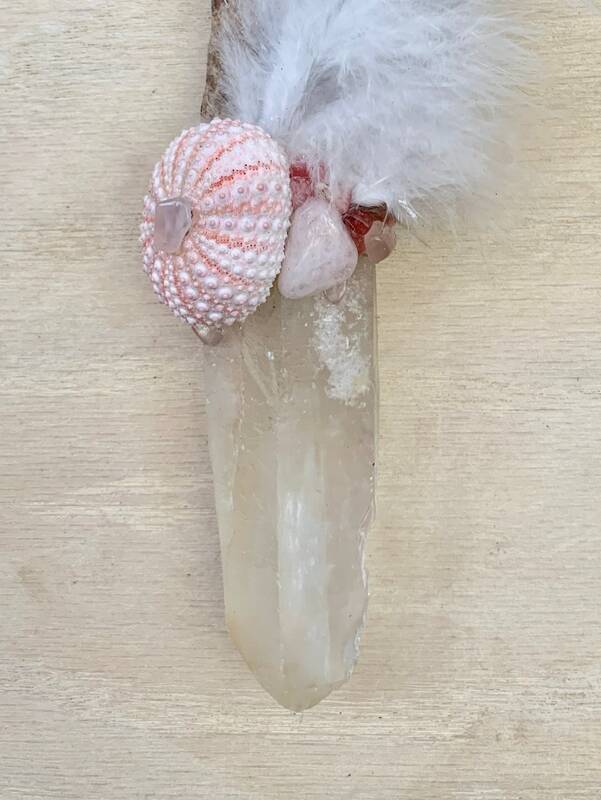 Rose Quartz – Stone of Unconditional Love and Infinite Peace; purifies and opens the heart; brings deep inner healing and self-love; strengthens empathy and sensitivity; aids in releasing unexpressed emotions; invokes forgiveness, and acceptance. Rhodochrosite – perfect for balancing emotions; cleansing and balancing the Heart chakra; promotes acceptance of the past; assists in loving the self; assists in releasing self from blame,; invokes courage, will & passion. A powerful emotional healer, radiating a strong energy of Divine Love; Deepens connections and love for Pacha Mama (Gia). Pigeon Medicine - Feathers – bringer of peace and love, understanding of gentleness, spirit messenger, communication between the two worlds, maternity, femininity, prophecy. Represents peace of the deepest kind. It soothes and quiets our worried and troubled thoughts and enables us to find renewal in the silence of mind. In these moments of stillness we are able to appreciate the simple things in life. Rooster Medicine - symbolizes personal strength, self-promotion, and recognition. Roosters are very assertive and proud to show off their lovely plumage. Roosters arrive to announce the dawn of a new day - and with that the potential for new possibilities. Reminds you to be enthusiastic and positive and helps to reveal unseen abilities. 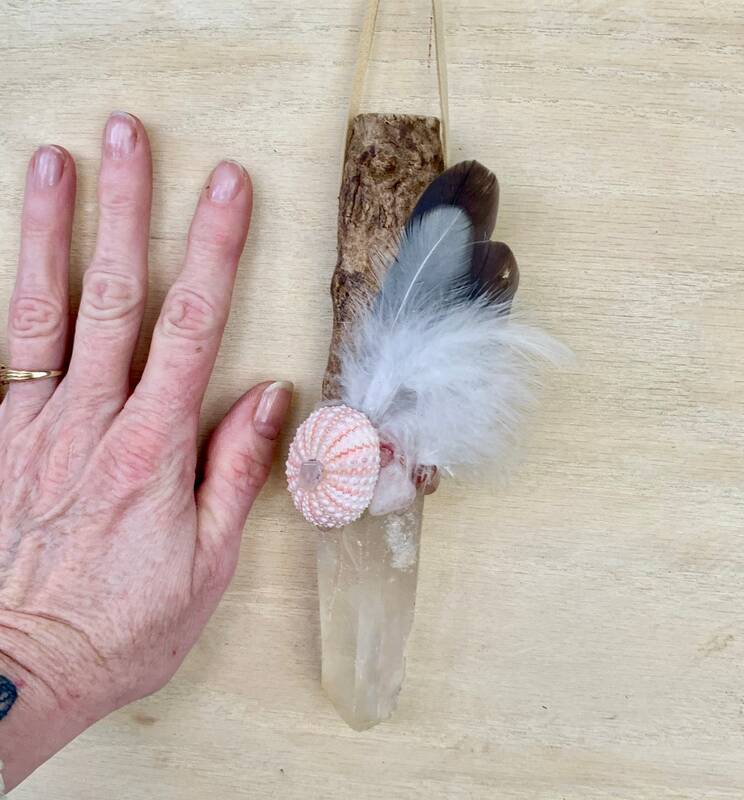 6 inches, Lemurian Quartz 2.75 inches. 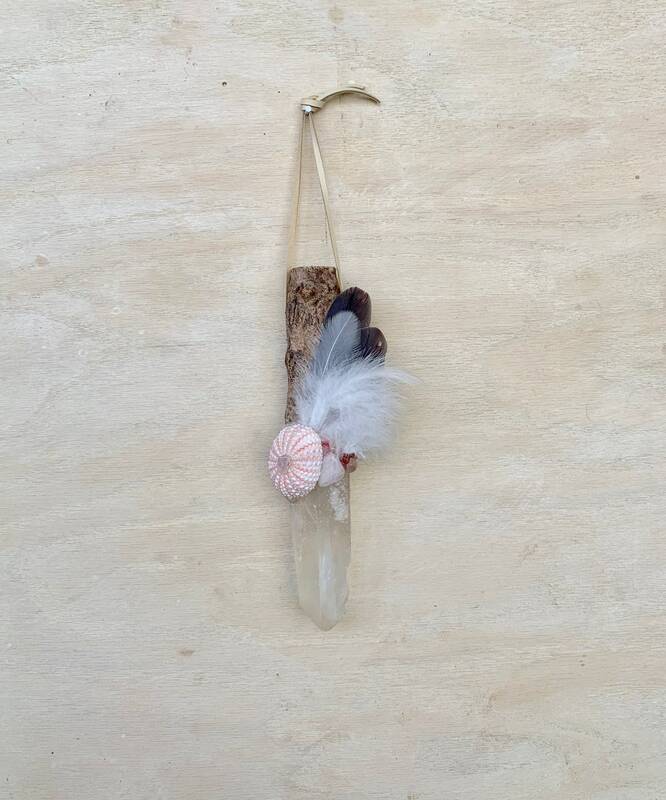 Comes with a card that describes all the properties of the wood, stones, and animals.